If I might ask, do you use a yellow onion or a white one in the soup? I normally use chopped bunching onions in my soups. When I’ve cooked lentils, I am usually following my late mother-in-law’s Boston baked beans Crock Pot recipe. Because of the stronger taste, I expect. Your recipe, however, tempts me. A yellow one – we don’t often get white ones in the shops here in the UK. Bunching onions would work wonderfully as well though. Super – I eat a lot of Puy lentils and often make a little mix like this to take to work with me – packed with protein, and I agree, they are very difficult to make look pretty, but they are very tasty and filling and healthy. They make the best lunches don’t they? Great for keeping you full all afternoon! This looks absolutely delicious!! I’m going to make it tomorrow. Thanks for sharing. Thank you! Your lentil bobotie dish looks incredible, I’ll definitely give it a go! There are TWO recipes in this Reblog from HarrietYoung. The original recipe is “Chicken & Lentil Soup”. 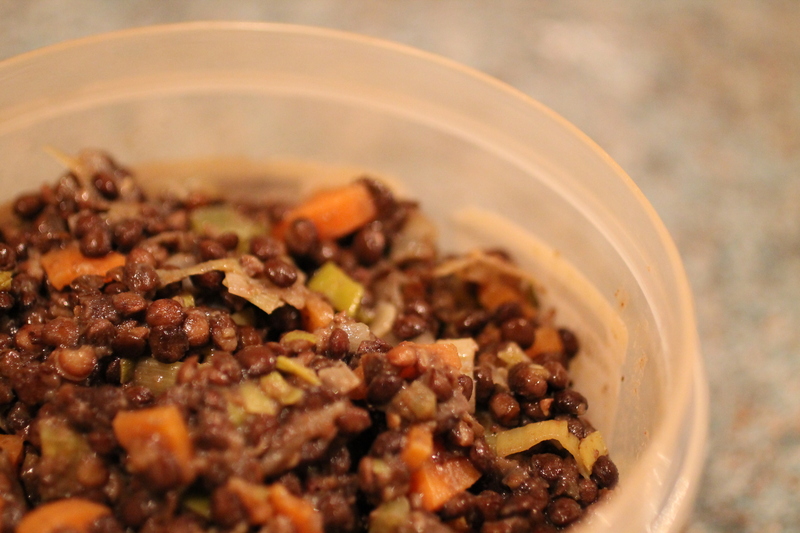 This post contains the Leftover Lentils recipe, just remember to “Click Chicken & Lentil Soup” for the original recipe! Lentils rock nutritionally and are a very good source of cholesterol-lowering fiber. Not only do lentils help lower cholesterol, they help manage blood-sugar disorders since their high fiber content prevents blood sugar levels from rising rapidly after a meal. They also provide B-vitamins and protein—all with virtually no fat. Just 230 calories for a whole cup of cooked lentils. This tiny nutritional giant fills you up—not out. Always love sharing your recipes!